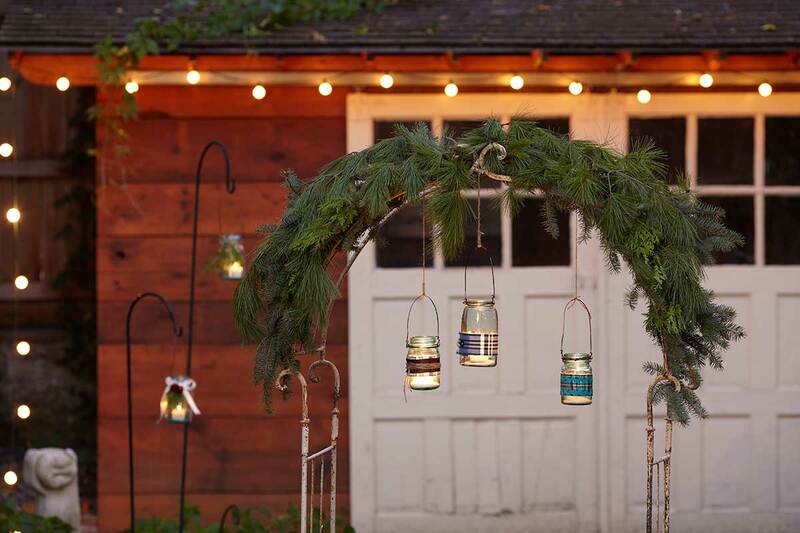 Bright Idea: The Mason Jar Lantern DIY from Furniture Row experts. Here’s a fun and inexpensive way to brighten up the exterior of your home for the holidays. 1. Cut a length of wire long enough to make a handle approximately 12″ to 18″. Bend the ends of the cut wire at a 90-degree angle about 3/4″ from each end. Place the ends of the handle on either side of the opening of the glass jar. Wrap more wire around the mouth of the jar twice, securing the handle to the jar. Twist the wrapped wire until it is snug, and cut off any excess. Bend the ends of the handle up as far as you can on top of the wrapped wire. 2. Cut a strip of fabric or a length of sheer ribbon — this works best for letting the light shine through — long enough to go completely around the jar overlapping by at least 1/2″. Make sure to leave enough glass showing so the candlelight can be seen. 3. 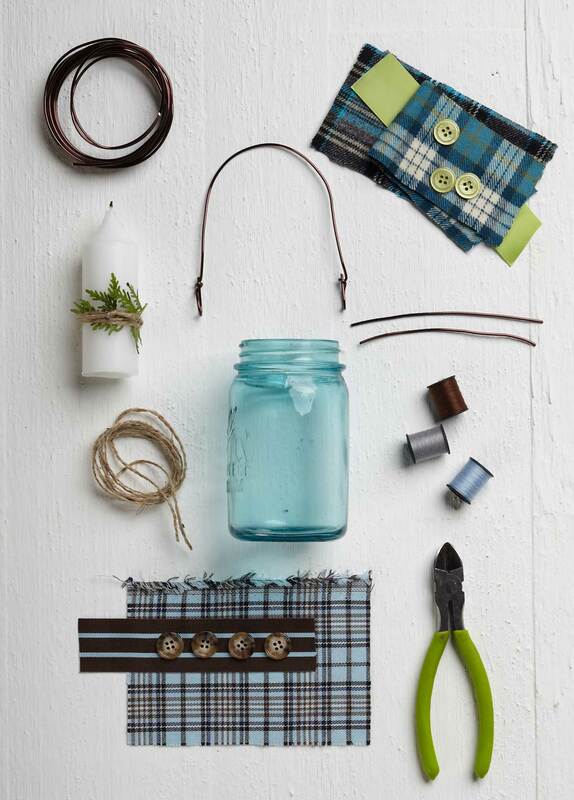 Hot glue the ribbon or fabric to the jar, overlapping and hot gluing the ends. 4. Hot glue decorations over the overlapped ends. 5. Fill the bottom of the jar with about 1″ of sand or pebbles to prevent the candle from shifting. Press the candle down firmly into this material to make sure it’s secure. 6. Hang the finished candleholders using pre-made hooks or a loop made from leftover wire and securely fastened to prevent the candleholder from falling or tipping over. TIP: Replace candles with battery operated flameless candle.